The International Agency for Research on Cancer (IARC) estimates that as of 2012, eight million people die each year from cancer, making it a leading cause of death worldwide – and the problem is growing. IARC estimates that by 2035, almost 15 million cancer-related deaths will occur each year. If current trends continue, a disproportionate number of these deaths will occur in low- and middle-income countries. The expanding global burden of cancer calls attention to another global health crisis – the worldwide shortage of health workers. The Global Health Workforce Alliance estimates that, as the number of cancer-related deaths climbs to 15 million, the health worker shortage will grow to 12.9 million by 2035. This creates a scenario in which countries face more cases of cancer but have fewer health workers to serve patients suffering from this devastating disease. In response to these growing challenges, Health Volunteers Overseas works with local health systems to bolster the quality and availability of health care by providing education, training and professional opportunities to local health workers. 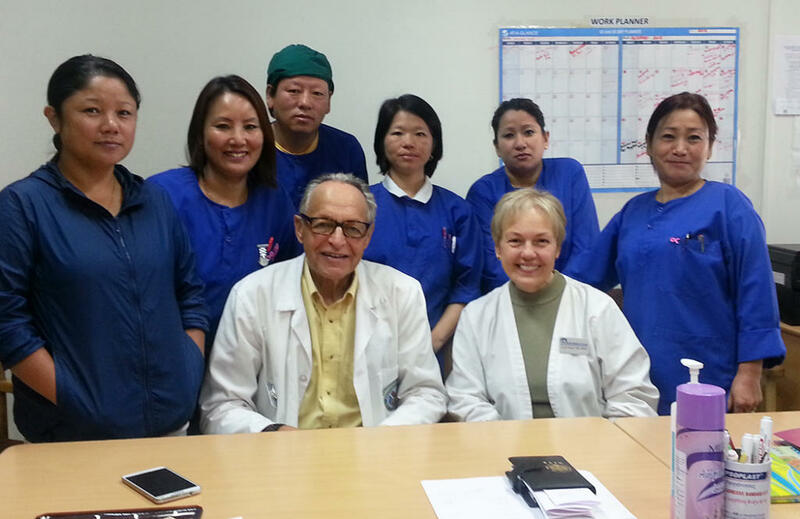 HVO’s oncology projects in Bhutan, Honduras, and Vietnam recruit expert volunteers to work with practitioners and students of oncologic care in these countries. A particular area of focus at project sites is the advancement of oncology skills and knowledge among current nursing staff and student nurses. Interested in contributing to improvements in cancer care in Bhutan or another of HVO’s oncology project sites? Become a volunteer!